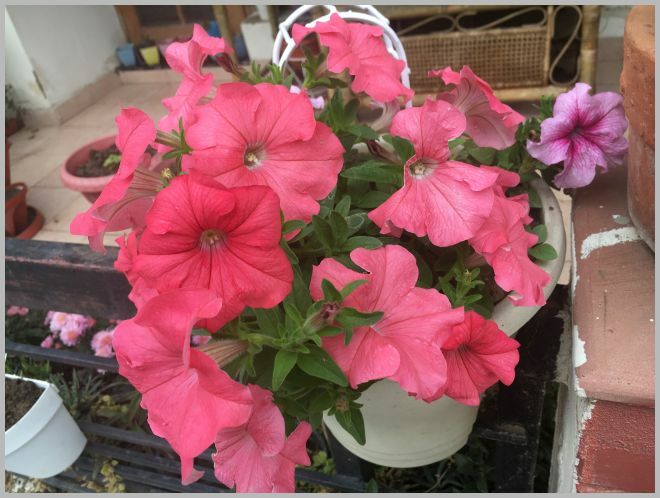 This excellent write-up by a guest author SHEHZAD AHMED is a step by step guide to understand HOW TO GROW PETUNIA FROM SEED. PETUNIAS rank as one of the most popular and wonderful annual flowers of the world. Their trumpet like shape makes them very unique, & their vivid colors are a delight to everyone’s eyes. A wide variety of colors, sizes, & plant architectures are available. Grandiflora petunias are of the most admired type, produce large flowers that are three or more inches across. They may be single colored or belle-dancer doubles type. Some have a pendulous, cascading habit that makes them more suitable for hanging baskets and window boxes, but most are upright plants that develop into large mounds of flowers which are twelve to fifteen inches tall. Multiflora petunias are just a little compact type. Their flowers are smaller than the grandifloras, but they make up for it with the sheer number of blossoms that are open at any given time. Like grandiflora varieties, they’re available in single or double forms, though the vast majorities are singles. Typically, they’re massed together to create big splashes of color in the garden. Explorer petunias are comparatively a newer variety. Their flowers are even bigger than those of Grandifloras. Due to their size (four or more inches across) they are also quite expensive as compared to the other varieties. Up till now they are just available in single color shades, however, due to their popularity and their gigantic size as compared to other varieties I’m of the view that this variety will also be coming in other multi colored versions as well. The first and the most important thing is the soil. The soil should be porous. Ideally the soil should have a range of 6 – 7.5 of pH. It should be well mixed with peat. The reason being that Petunia’s love to penetrate their roots inside the soil. Soil doesn’t need to be hi-fi rich in nutrients to grow petunias, however, well-rotted leaf compost or manure is the best tonic for petunias, & that will make more blossoms. Second requirement is that it receives plenty of light. At least 4-5 hours daily of prime sunlight. It’s a fact that the more the light the plants receive the more flowers it produces. Of course, you’ve also got to water it that much often, but don’t over water them otherwise they’ll become lousy, & the stems may fall apart. Petunias are quite heat resistant, and demand less water as compared with other flower types. Petunias are very tricky to grow. When I initially started gardening, I heard an experienced gardener say that whosoever can grow petunias from the seed is a true gardener; otherwise, he/she’s not. The fact is that, the seeds of petunias are very minute & tiny, & just a little pressure on the seed can render it useless. So the fun starts here. A sense of accomplishment is achieved if one is able to grow petunias from seeds. 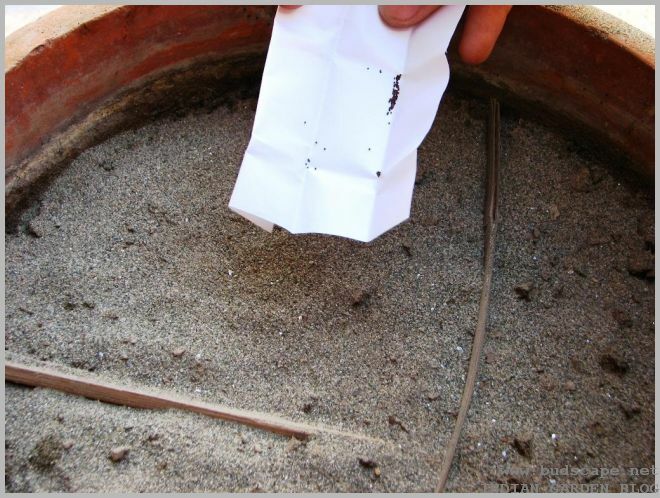 Pincers or forceps should NEVER be used for handling such type of seeds. Remember that although it may prove difficult for novices to start petunias from seeds but it is hell lot of fun. And most of all there is always an advantage because you can select from a wider choice of varieties, which are not otherwise available. And the best part is that you get more value for less money. OK! Now enough of theory, lets get on with the practical stuff. Firstly, when I started I used to fail in rearing a reasonable number of petunias from seeds. I used to sow around 100 seeds & only used to germinated around 5-10 seeds. However, after a number of experiments, I’ve learnt a great way in which the germination rate goes around 95%+. Let’s start the practical. 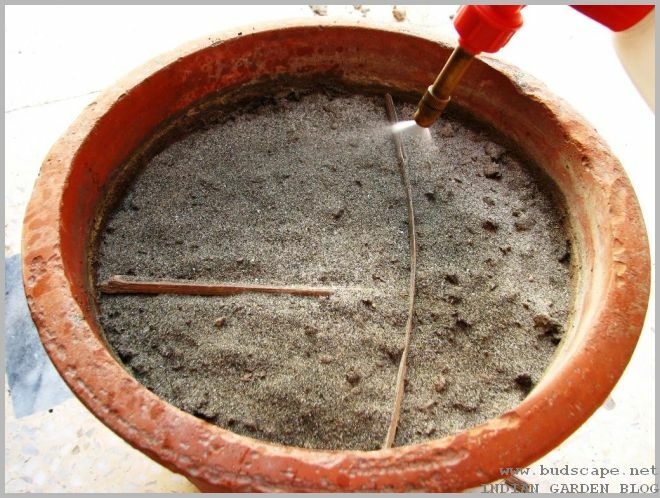 Use fine sand at the base of the container, say around 3 inches deep. 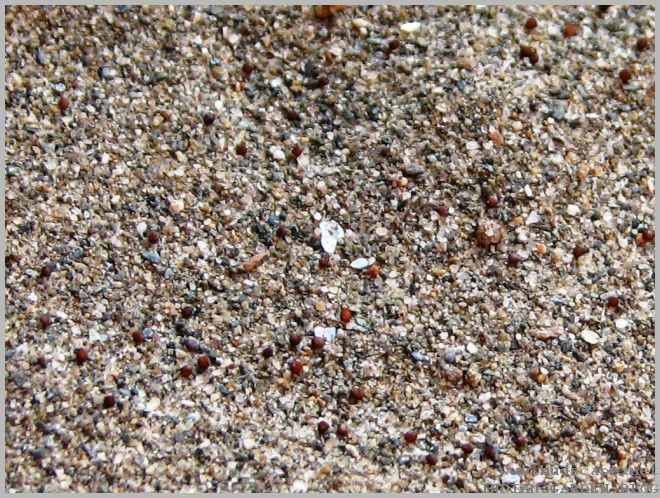 On it put a layer of peat moss, approximately 2 inches deep, & over the layer of peat moss put again a thin layer of fine sand, in such a way that some of the peat moss is also visible beneath the sand. Shake the container just a little so that everything settles well in its place. After that spray the soil with clean fresh water, so that the soil becomes a little moist. 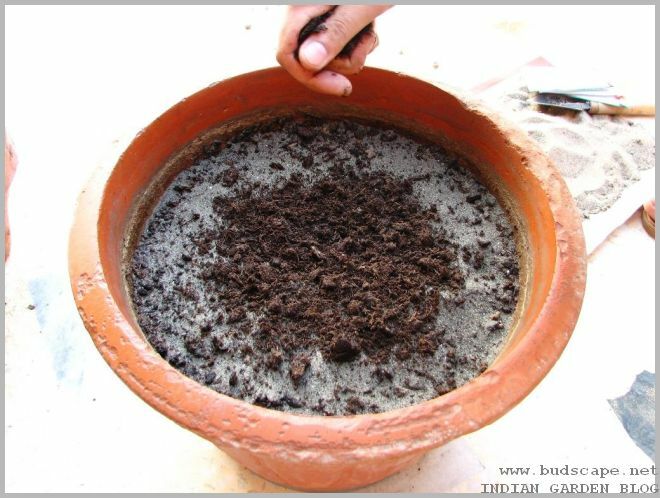 Say around 1 inch deep moist, but the soil should not go damp, & the water should drain immediately after spraying the container with water. Upon it drop seeds of petunia, by spreading them all around the soil. When all the needed quantity of seeds has been dropped on the soil, water the soil again with the water spray bottle. 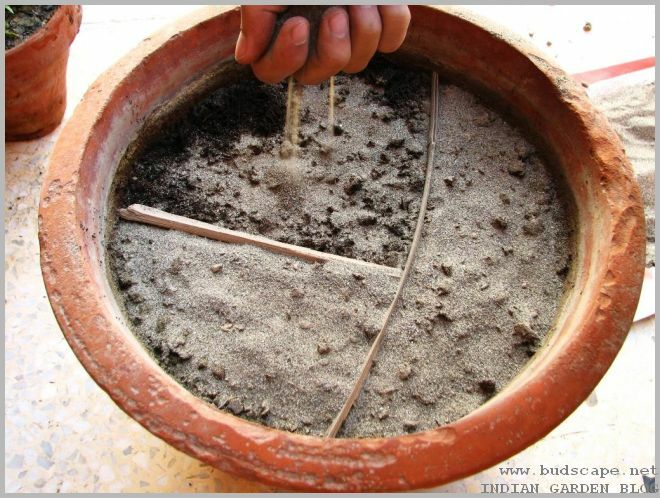 Ideally, always water such fine seeds with a fine misty spray to wash them & settle them into the potting mixture. 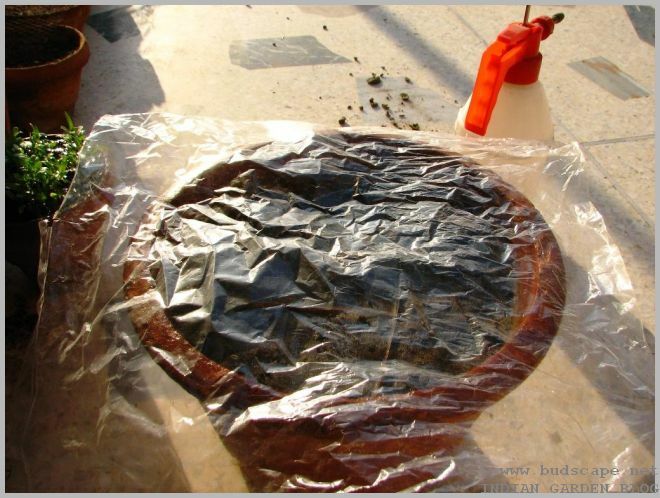 Once all the seeds are settled down, take a piece of clear, transparent plastic sheet & tie the plastic sheet in such a way that it covers the whole of the containers’ neck. Then tie a knot to fasten the plastic sheet onto the container. 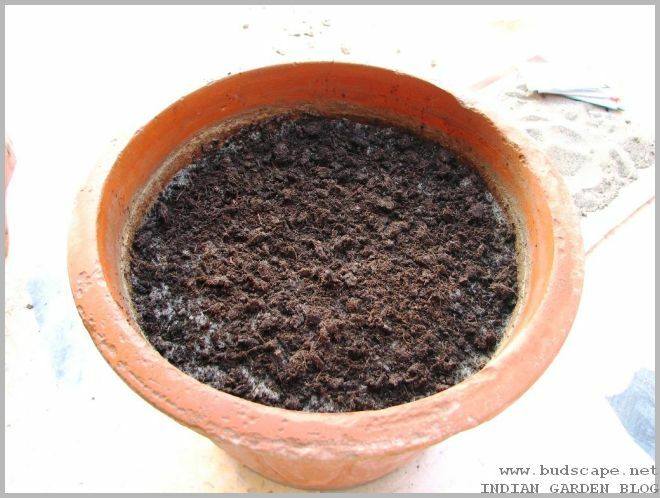 Put the container in a bright place, preferably where the seeds would receive direct sunlight for around 1-2 hours daily. Remember petunia seeds will not sprout unless they don’t receive light. Some people don’t prefer to put seeds in direct sunlight, however, its my personal experience that if petunia seeds are placed outside where they receive around 1-2 hours of daily sunshine, they sprout early as compared to seeds planted indoors. 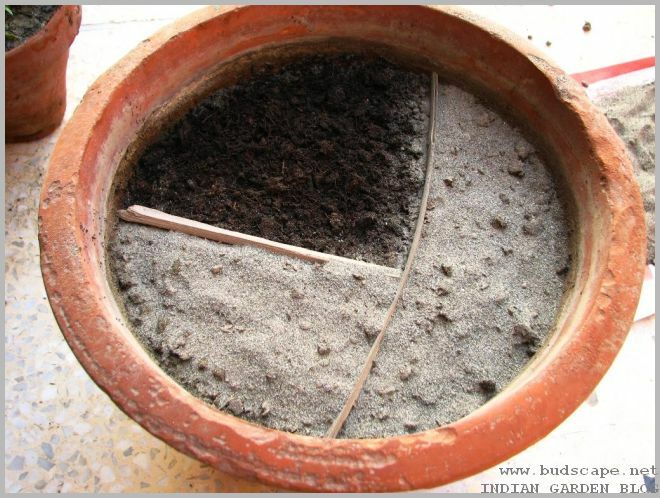 Moreover, the seeds planted outside tend to be more strong and pest resistant. So, I always prefer to sow seeds outdoors. 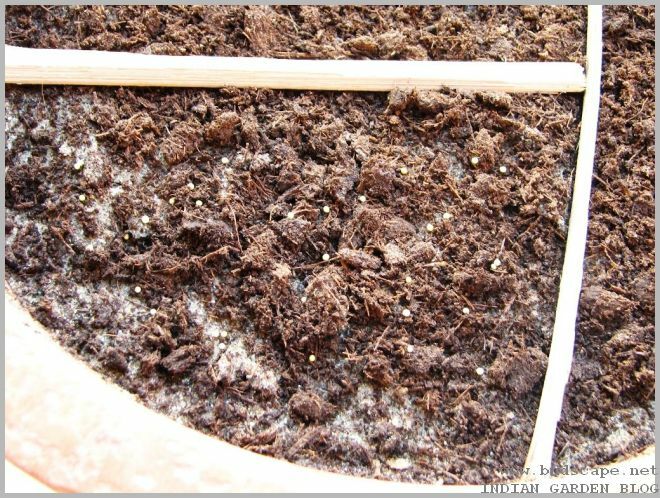 The ideal temperature for germination should be around 21° C – 24° C, however for double varieties or F1 hybrids a temperature of around 27° C is required. Ok. Next everyday in the morning remove the plastic sheet & look at the seeds. Check if they need watering. If yes then spray over them with a misty spray bottle. Normally, they won’t need water too often as the plastic sheet will prevent any evaporation of water from the container & water droplets will form on the inner surface of the sheet & drop on the container again. So the container won’t be needing too much water, but remember if it does require in case the temperature goes up or the soil doesn’t look moist, please water the soil lightly. 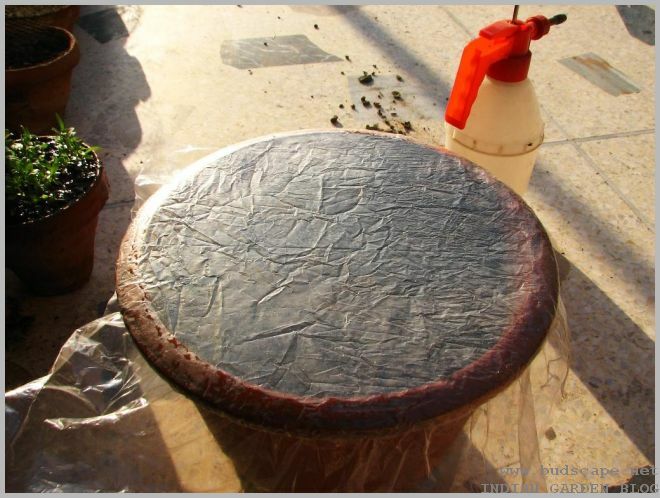 Just after watering/or not watering again reseal the container with the same plastic sheet. Normally, it’ll be 5-6 days when the seeds begin to sprout. 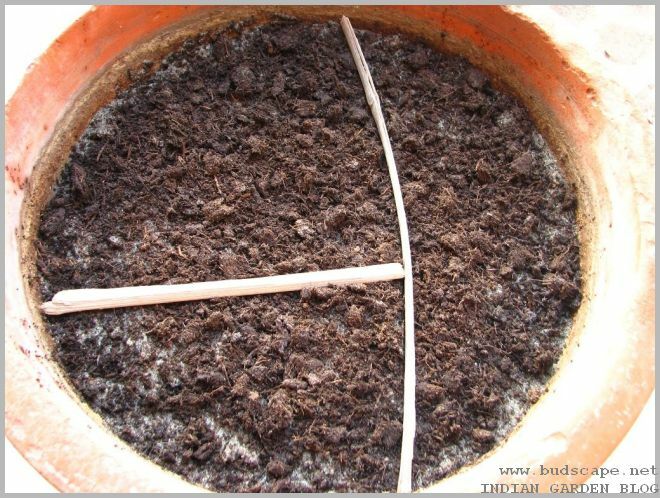 Once all the seedlings emerge, discontinue the use of plastic cover, & water once daily in the morning. Make sure the seedlings receive sunlight around 2-3 hours daily. When the seedlings have around 3-4 leaves then it’s time to plant them into individual pots, & wait for their blossom. Once they start blossoms I use NPK dissolved into water every 15 days as a fertilizer. They need very little amounts as fertilizer. I guess around ½ teaspoon dissolved into 200 ml of water per small pot of 6 inches is sufficient. When the flowers start to die away please trim them off the main plant, because that will promote growth of more flowers as well. Take a small pot preferably of around 36 inch dia, and around 10 inches deep. 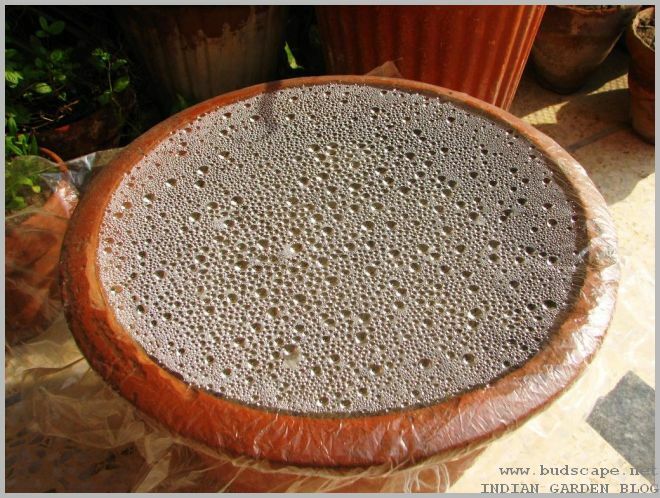 Put at the bottom pebbles around 2 inches for sufficient aeration & porosity. 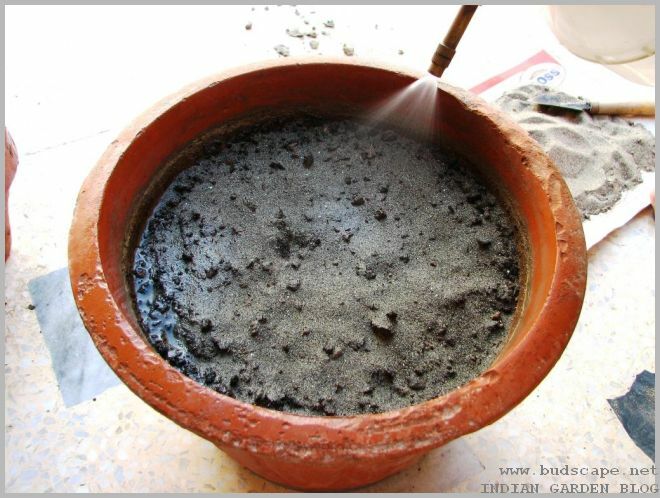 Next put on it 6 inches of prime river bed soil (Bhal as it is called in the subcontinent) Water it lightly with a misty spray to settle it into the pot. Next put on it a thin layer of decomposed organic material, such as wood compost, leaf compost or maybe peat moss. Settle it well all over the pot. 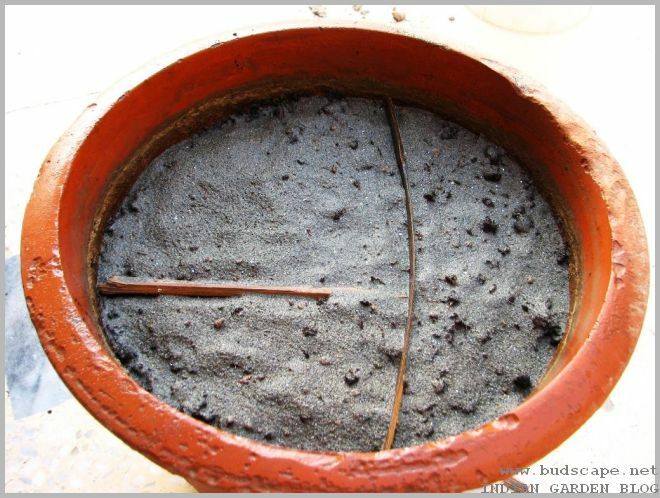 so that the organic material covers all the pot evenly. Put the digitalis camelot seeds onto the surface of the pot. The yellow pelleted seeds you see are of digitalis camelot…. In the next portion put in the antirrhinium seeds… *Here’s a FLOWER SEED IDENTIFICATION CHART in-case you have seeds but lost the packet/label. 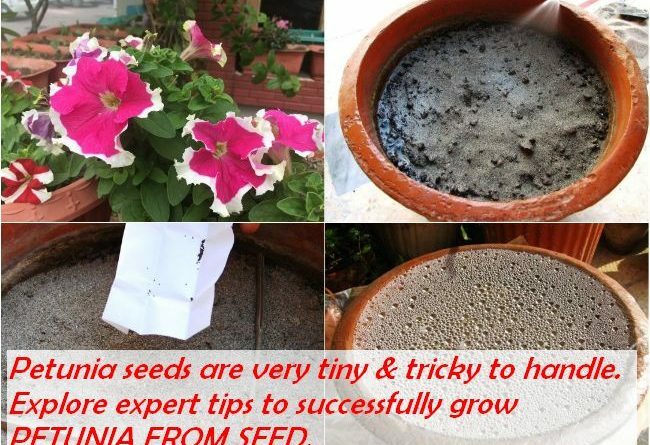 Once that portion is also covered with the required amount of river bed soil, drop sparingly petunia seeds all over that portion… *Want to try but don’t know where to BUY SEEDS ONLINE IN INDIA? Here’s a guide. Next everyday when you go to see the pot, you’ll find that water droplets have formed on the inner surface of the plastic sheet… That means that the pot has retained the amount of moisture & the seeds can never fall short of moisture… & the sunshine will never let in fungus appear inside the pot… Everyday, repeat the same misty watering technique, & it will be around 7-10 days that the antirrhinium seeds start to appear, around 10-13 days for petunias, & camelots take around 15-20 days… However, the seeds may emerge earlier if they are very fresh. 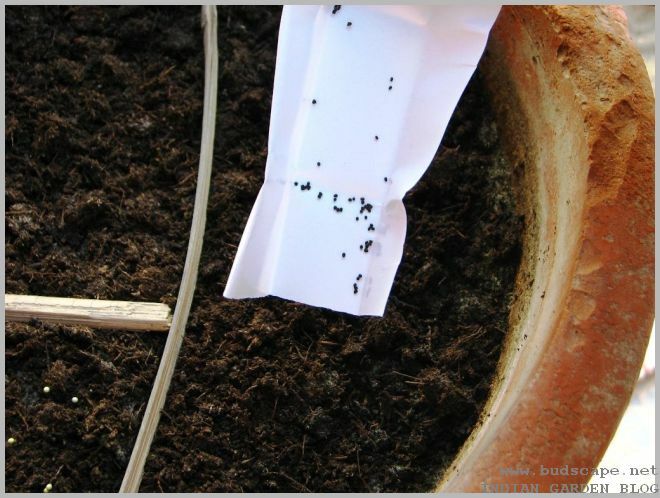 FOR A DETAILED ARTICLE ON SOWING ALL TYPES OF SEEDS and ideal the SEED SOWING MIX, CLICK HERE. Such a timely post Yasmeen! I’d agree that growing petunia’s from seed is every gardeners dream. I’ve failed thrice and as I type I have another lot going on. I am going to put a plastic sheet on top and put them in the sun as soon as I reach home. Wish me luck! I am glad this could help you!! Wish u all the luck and i do hope your petunia seeds make you happy this time. Do share pics of your success with me.